A new bill would impose a fee on producers of carbon dioxide-heavy energy sources like coal and oil. The money from the fee would be given to taxpayers to offset higher energy costs. 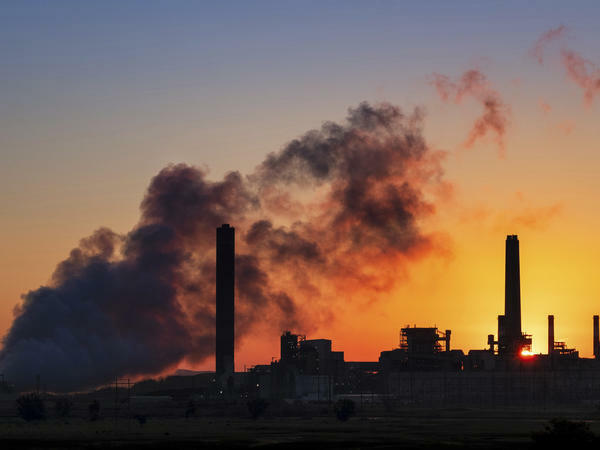 The bipartisan Energy Innovation and Carbon Dividend Act would impose a fee on oil refineries, coal producers and other companies that are major carbon dioxide sources. That would likely cause companies to raise prices. But the bill would take the money from the carbon fee and give it to American taxpayers and their families so they could offset higher energy costs. Read more: Temperatures In Florida Are Rising. For Vulnerable Patients, The Heat Can Be Life-Threatening. Congressman Ted Deutch represents parts of Palm Beach and Broward counties and is among the bill's sponsors. He said the National Climate Assessment report released last week underscores the need for drastic action on climate change. The report highlights impacts already affecting Florida communities, and says climate change could reduce the size of the U.S. economy by 10 percent before the end of the century. "If we don’t act now, we are nearing a point of no return when it comes to our environment, when it comes to our health, and when it comes to our economy," Deutch told reporters in a call. "That's why this legislation is so important. It is the product of rigorous negotiations between Democrats and Republicans, liberal groups and conservative groups, environmentalists and business interests." Initially the fee would be $15 per metric ton of CO2, increasing by $10 every year -- and more if the country fails to meet annual emissions reductions targets. Rep. Francis Rooney (R-FL-19) and Democratic Rep. and former Governor Charlie Crist (D-Fl-13) joined Deutch, Rep. John K. Delaney of Maryland and Rep. Brian Fitzpatrick of Pennsylvania in sponsoring the bill. The congressmen say if successfully enacted, the bill would cut emissions by 40 percent in the next decade, and by more than 90 percent in the next 30 years.